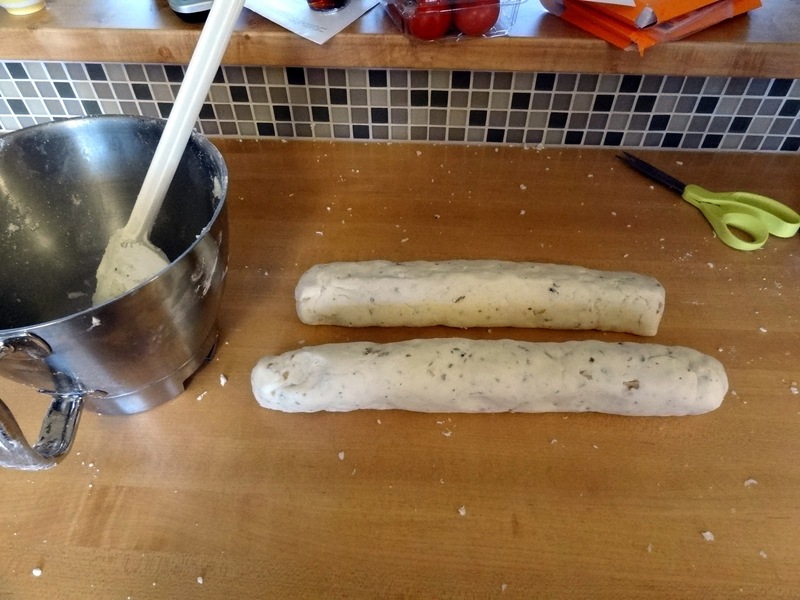 Squash House Quilts: Holiday Baking Begins! My annual holiday baking dance has begun! Actually, it began with making a dessert for Mr. Squash. I try to keep him in homemade desserts most of the time - it's the least I can do for a fellow who brings me so much happiness! However, last week I was short on time and decided to buy some cookies from a nearby bakery. They were called Divinity Cookies and were they ever good! 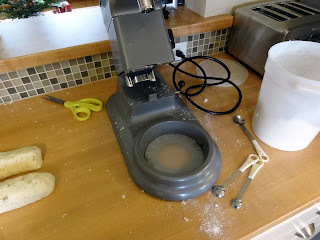 I had to see if I could find and/or replicate the recipe. 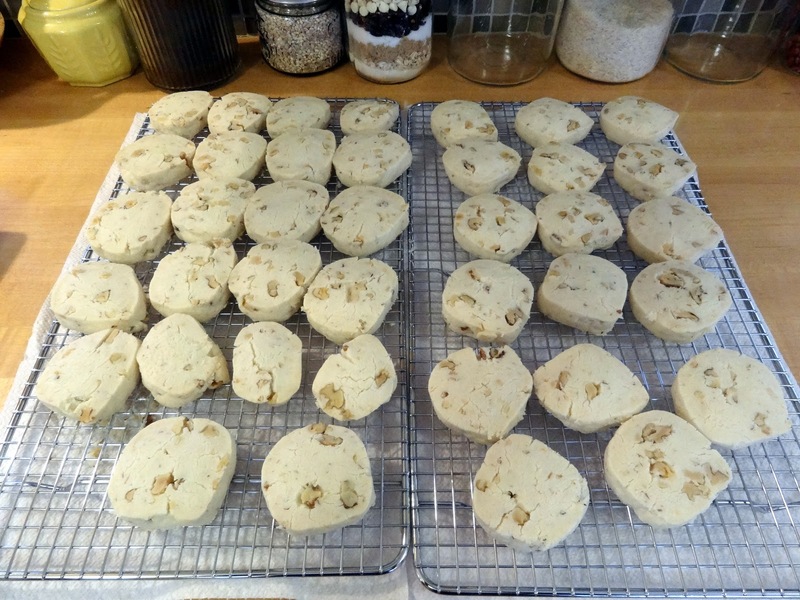 I Googled Divinity cookies and found a recipe that had the exact same ingredients that were on the box of cookies! 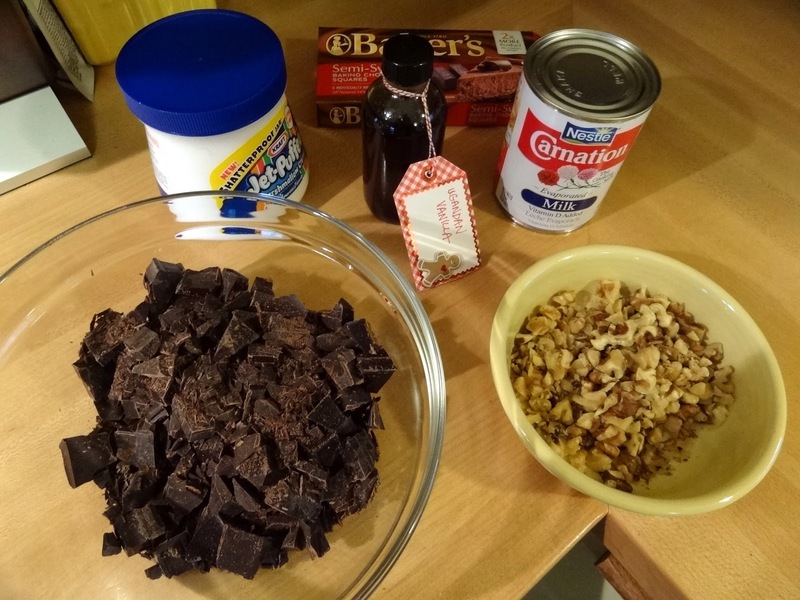 Mix all ingredients together in the order given and roll into logs. Cut pieces and bake at 350 degrees until edges turn light color. Now, I learned the hard way that it's easier to split the recipe in two unless you're really strong. Not even my Viking stand mixer with the huge motor could have gotten through these. I wound up dumping the whole thing on my sealed butcher block counter and pounding away at it by hand! My counters don't normally look this disastrous when I'm baking! For lack of any other instructions, I decided to refrigerate the rounds for about an hour, then using my Santoku knife, I cut them in about 1/2" thick slices. Then I placed them on parchment lined cookie sheets (they don't spread so you can put them close together). There were no baking times given, but I can say mine took about 25 minutes. I'd check every 10 minutes or so and rotate the cookie sheets. They turned every bit as good as the ones from the bakery! 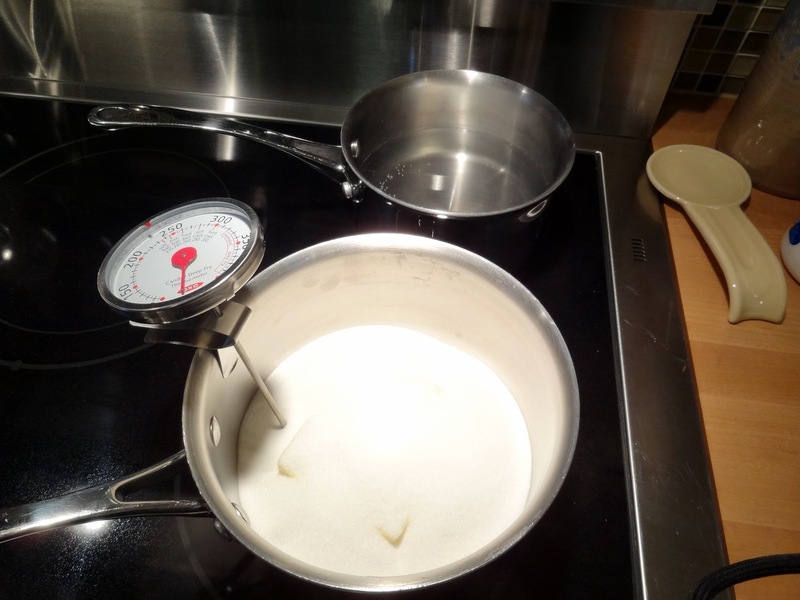 Bring butter, sugar and evaporated milk to the soft ball stage of 234 degrees. In the picture above this is homemade Uganda Vanilla that I just received from a dear friend whose been making homemade vanilla for a while now! It smells so yummy! I had intended to show you all the steps to this, but I'd forgotten how much stirring and moving fast after the stirring there is! There was no time for pictures until the end! The fudge here is still warm with that wonderful, buttery sheen on top! I'll cut it into squares after it cools. I hope you're having as much fun with your holiday baking as I am! Candace, the Divinity Cookies look wonderful! I would like to make them for a cookie exchange Saturday (!) but neither your recipe nor the linked recipe indicates a yield. How many cookies does the recipe make? Glad you found your cookie recipe, and your fudge looks so good, and brings back many memories. 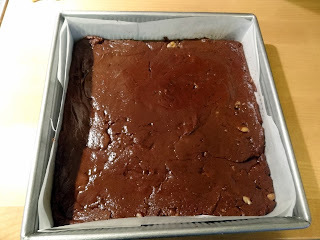 I made some fudge from the same recipe the first of Dec. Yes, you can't leave it while the sugar and butter is boiling to take pictures. It all looks delicious Candace. Now just fill a few jars of the air in your kitchen and label it "Christmas Baking" so you can open it on a dull grey day and smile. I adore cookies and these look totally delicious. My grandma, a cook all her life by trade, made more than a dozen different candies and cookies and fudge and real divinity each year between Thanksgiving and Christmas for decades--we all miss that! My fave were the homemade caramels and her fudge. 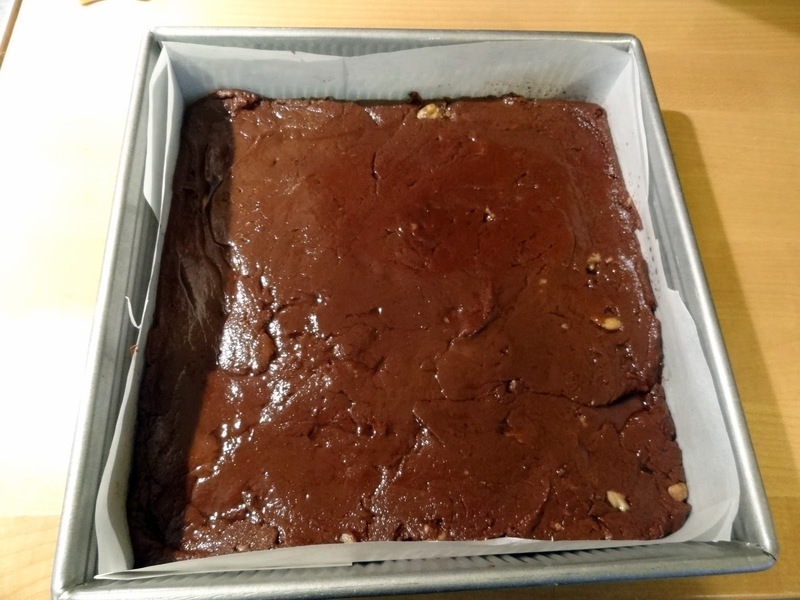 This fudge pan in your photo is making my mouth water! Looks like you are going to have some yummy treats for the holidays. Guess maybe you need a photographer while your cooking fudge. Yum! It all looks delicious! I wonder if the Divinity cookies are what we get from a neighbor. She won't tell us anything about them, not what's in them, nothing. I guess she wants us to keep telling her how good they are!